Sheboygan County is located in east central Wisconsin on the western shore of Lake Michigan. The county covers 514 sq. miles with a population of 113,000 residents. There are 72 inland lakes covering 2111 acres and five rivers. Sheboygan County also encompasses 775 sq. miles of Lake Michigan. The significant amount of water and recreational activities in Sheboygan County substantiates the need for a quick response dive team. The Sheboygan County Law Enforcement Dive Team was established in 2000. Originally The Sheboygan Police Department and the Sheboygan County Sheriff’s Department had separate dive teams. These separate teams were in existence since the 1960’s. The two teams were combined in an effort to provide better service and cost savings to taxpayers. 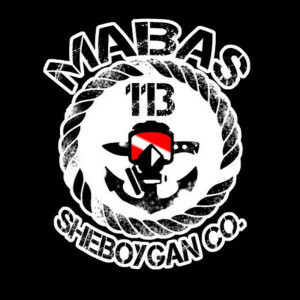 Beginning in 2014, the official name of the dive team will be The MABAS Division 113 Dive Team. The change in name reflects the evolution of the team from a Law Enforcement based dive team to an inclusive team that is made up of Law Enforcement, Fire, EMS, and Corrections. It also provides ownership of the team to the entire Sheboygan County public safety community. Our mission is to promote water safety within the community, provide our departments with the capability of victim and property recovery, and perform searches for evidence as it relates to crimes. The ten members each have minimum certifications for PADI open and advanced open water, ice diver, dry suit diver, and dive rescue specialist I. In addition, members have training as med diver, underwater investigator, surface ice rescue, equipment specialist, dive rescue specialist II, visual cylinder inspector, and dive master. Annually the team schedules eighty hours of in-house training. This consists of a yearly skills review at the YMCA pool. Members must show proficiency in basic SCUBA skills as well as complete the International Association of Dive Rescue Specialists watermanship skill test. This is a timed test consisting of a 500yard swim, 800yard snorkel, 15minutes treading water, and a 100yard diver tow. Additional in-house training consists of ice diving, wreck diving and scenario based search pattern work in our local waters.